A series of traumatic experiences in his youth drew Peter Howe to the spiritual side of life. After he developed an illness and became dependent on medication, he began to experience supernatural encounters. These episodes were so vivid and detailed that he has decided to record them in a book. The Goddess Virgo and Her Relationship with Christianity is a ‘supernatural biography’, which recounts Peter’s spiritual experiences, from his encounters with the Goddess Virgo to visitations from alien spirits, which subjected him to interrogation, and contact with creatures he recognised as representatives of the Devil. A spiritual experience linked to the iconography of ancient Egypt led to his joining the Fellowship of Isis, an international spiritual organization devoted to promoting awareness of the Goddess Isis. Peter’s experiences intensified after the death of his mother in 2003 and they still continue today. 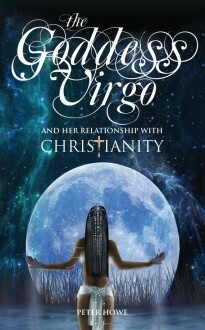 They have led him to some personal conclusions about the nature of the connection between Christianity and the Goddess Virgo, whom he believes is a merger between a woman from ancient times and a spiritual person of an alien race, and a reinterpretation of the Old Testament’s Book of Revelations.